Hunter Douglas Window Fashions of Broomfield, Colo., is recalling about 610 privacy sheer blinds sold in the U.S. and Canada. The cord restraints on the combination wand/cord of the sheer blinds can break, posing a strangulation hazard to children. The firm has received 11 reports of broken or cracked cord restraints. No injuries have been reported. This recall involves custom-made Luminette privacy sheer blinds and other branded and generic sheer blinds listed below with the combination wand cord sold in white. The Hunter Douglas logo is printed on the end of the wand of the Luminette brand sheer blinds. The alternative brand and generic sheers do not have a logo. The cord/wand is unique to this product. The blinds, manufactured in the U.S., were sold at Budget Blinds, Hunter Douglas dealers, JC Penney and Lowes stores nationwide from January 2017, through March 2017, for between $1,250 and $2,000. 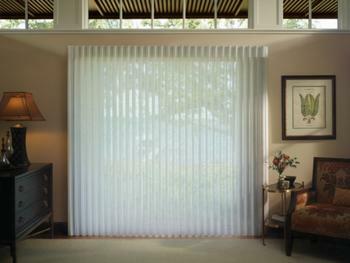 Consumers should immediately stop using the recalled sheer blinds and contact Hunter Douglas for a free repair kit. Hunter Douglas is contacting all known purchasers directly. Consumers may contact Hunter Douglas at 800-997-2389 from 9 a.m. to 8 p.m. (ET) Monday through Friday or online at www.hunterdouglas.com and click on Child Safety at the bottom of the page for more information.